Diamonds were formed at the beginning of time,when a combination of heat and pressure deep beneath the earth’s crust miraculously transformed carbon into diamond – the hardest substance found in nature. They were brought closer to the surface by volcanic eruptions, but many did not survive the journey and, of those that did, many are too heavily included to be used in jewellery and are only suitable for industrial use. Whatever your reason for wanting a diamond, it will be personal and a purchase that will last a life time. Don’t be afraid of love at first sight but do take your time and take advice from your jeweller. Every diamond is unique and has a beauty all of its own. You will find a huge choice available – something to suit every budget. The factors that influence the value are the quality of the diamond – the clarity, colour, cut and of course, its size. Purchasing a diamond with an AnchorCert report means that your diamond has been thoroughly scrutinised by a team of independent gemmologists and graded to GIA master stones and nomenclature. Using the latest technology they also make sure that the diamond is natural and identify any treatment it may have received to improve either its colour or clarity. AnchorCert Gem Lab is backed by the professional expertise and commitment to consumer protection of Assay Office Birmingham. An AnchorCert® Gem Lab Report provides you with complete confidence in your diamond. 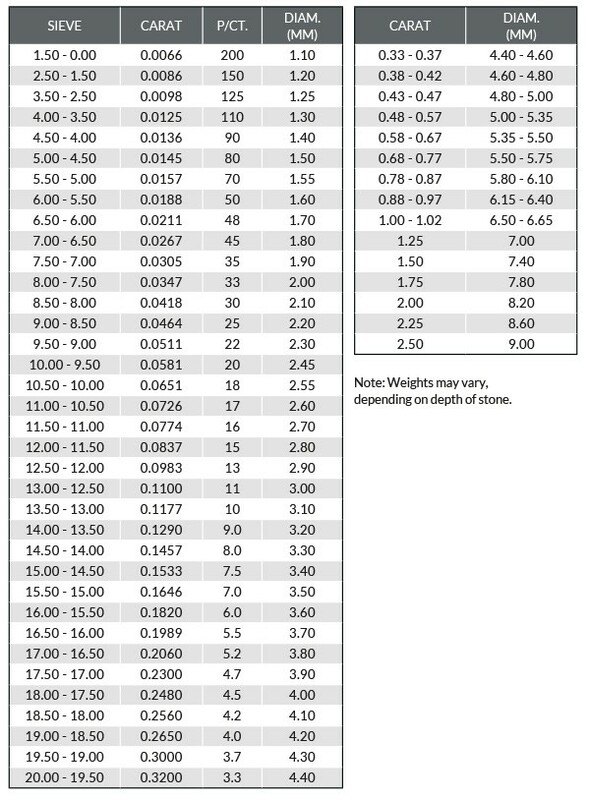 Diamond weight is stated in carats, with one carat equalling 1/5th if a gram. 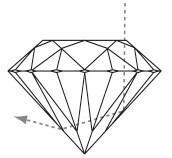 Less than 5% of gem quality diamonds are one carat or above. Diamonds are formed under tremendous heat and pressure and, as a result of this process, internal and external characteristics which affect the clarity of diamonds are common. Internal characteristics are called inclusions, external characteristics are known as blemishes. 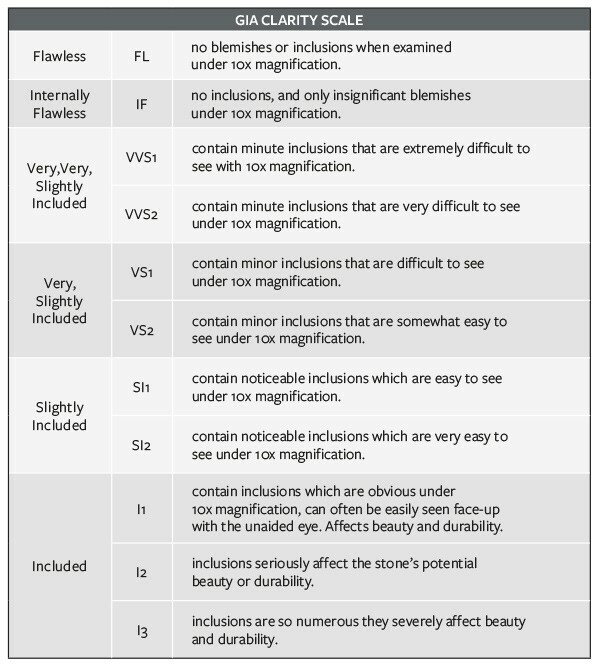 These characteristics are used by gemmologists to grade the clarity of diamonds and the GIA (Gemological Institute of America) provides a scale of of 11 grades ranging from "flawless" to "included". Most people think that diamonds are colourless, but in fact most diamonds used in jewellery have slight tints of yellow or brown. Totally colourless and rare "fancy coloured" diamonds (blue, pink, orange, green, yellow or brown) are the most valuable. All other diamonds are graded according to how noticeable the colour is. The GIA Colour Scale begins with the letter D (colourless) and continues through to Z (light yellow). 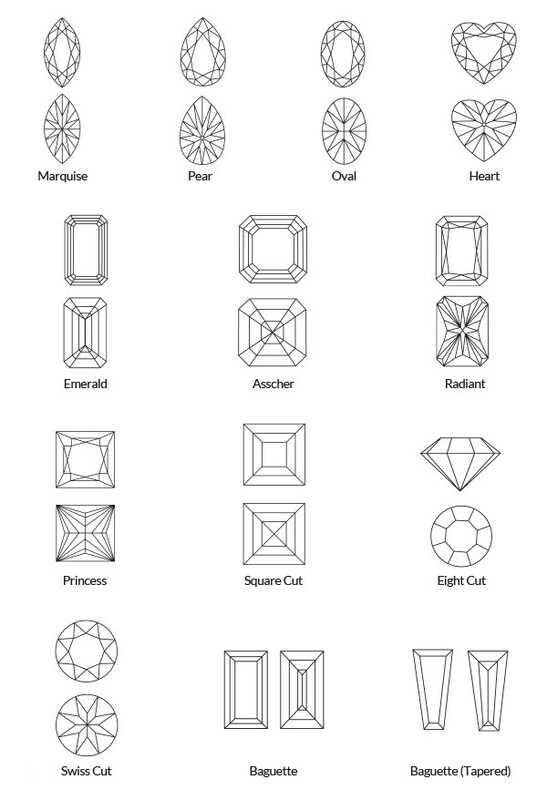 A master set of diamonds is used by gemmologists to compare colours. This is the one characteristic of a diamond where man has more influence than nature. A diamond's beauty depends on how light strikes its surface, how much enters the diamond and how, and in what form, it returns to the eye. The GIA Diamond Cut Grading System assesses a diamond's overall face up appearance using sophisticated computer modelling to predict brightness, fire and scintillation together with other features such as weight ratio, durability, polish and symmetry. 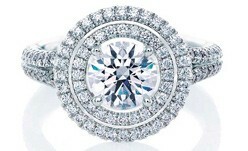 The round brilliant diamond is the most popular cut but shapes vary depending on the stone and the skill of the cutter. AnchorCert Gem Lab Diamond Reports give reassurance that a team of expert gemmologists have examined and graded the diamond according to the international standards described above. AnchorCert Gem Lab Diamond Reports add value to a diamond by providing an accurate and unbiased testament to its quality. A diamond’s brilliance is controlled by the quality of its cut. An ideal cut diamond allows the light to reflect through the table and crown giving the diamond fire, brilliance and plenty of sparkle. 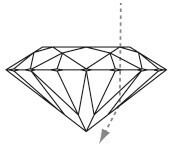 A deep cut diamond means that the light escapes from the bottom causing the diamond to appear dull and lifeless. 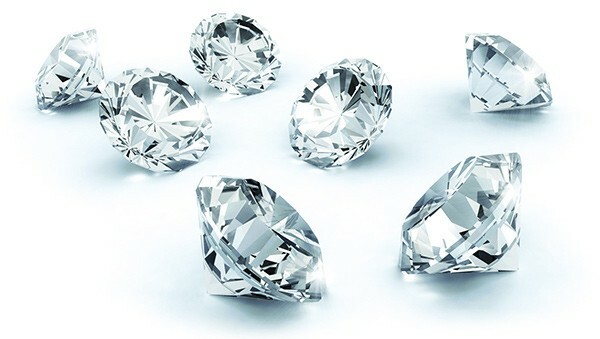 The Cut Grade used by AnchorCert is the GIA Cut Grading System which assigns one of five grades to describe the overall cut quality of a round brilliant diamond. 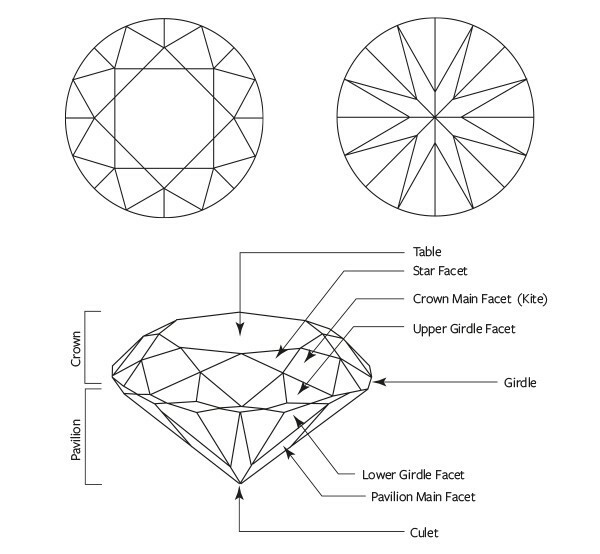 When applying a cut grade to a diamond, several proportions and diamond appearances have to be taken into consideration before coming to a conclusion. 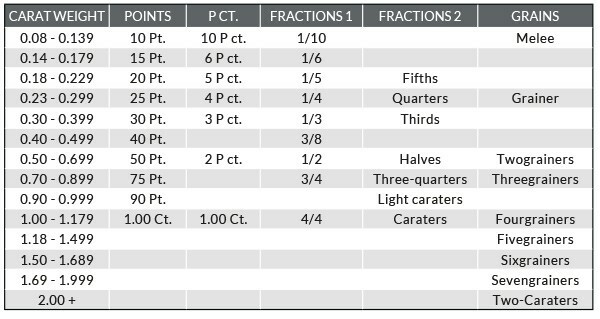 The gemmologists consider the symmetry, polish and culet in order to determine the final cut grade. 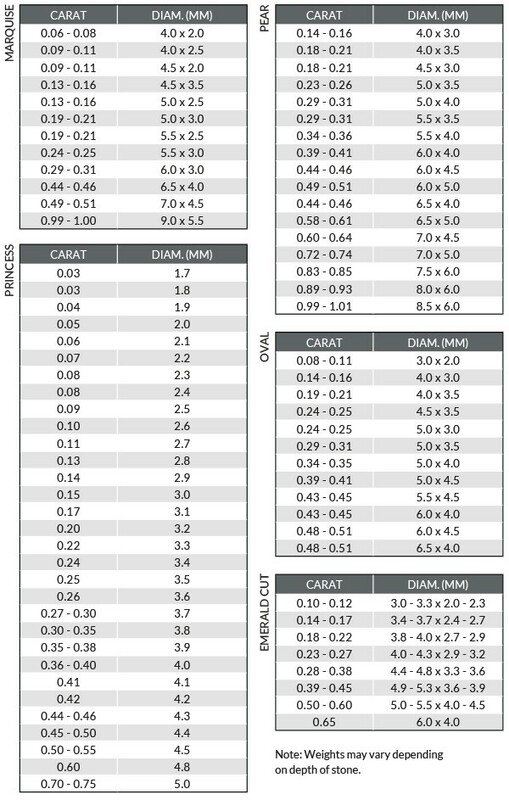 The GIA Cut Grading System allows the public and the diamond industry to use cut along with colour, clarity and carat weight when assessing or purchasing a round brilliant diamond. 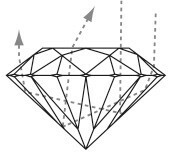 Diamonds are formed under tremendous heat and pressure and, as a result of this process, internal and external characteristics, which affect the clarity of diamonds, are common. Internal characteristics are called inclusions; external characteristics are known as blemishes. Note: This table is suitable for smaller stones. For larger stones the clarity grade is modified according to the percentage of the stone affected by the inclusions. Most people think that diamonds are colourless, but in fact most diamonds used in jewellery have slight tints of yellow or brown. Totally colourless and rare ‘fancy coloured’ diamonds (blue, pink, orange, green, yellow or brown) are the most valuable. 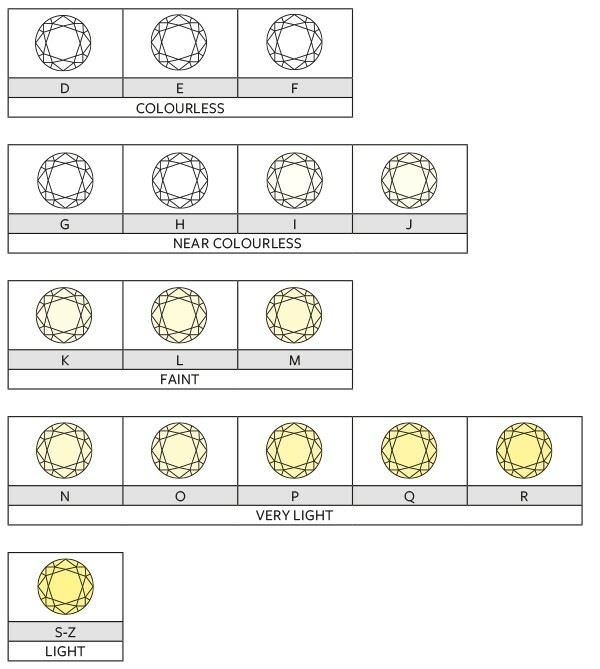 All other diamonds are graded according to how noticeable the colour is. The GIA Colour Scale used by AnchorCert (shown below) begins with the letter D (colourless) and continues through to Z (light yellow). A diamond colour master set is used by gemmologists to compare colours. Note: These examples are approximate.